You are so cute.. i love that you are in love with creating the costumes for us. This is going to be so awesome on Ayden!!! Are we doing Alice in Wonderland by chance? 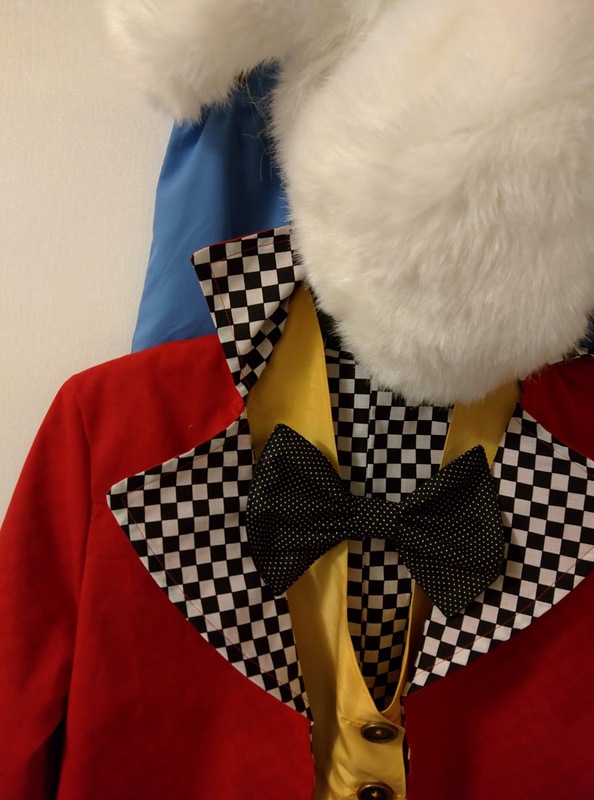 Looks like the White Rabbit's costume. That is what we are doing here in Georgia, but alas, we don't have a talented costume designer/maker in the family, so Party City had to come to the rescue -- Now the Mad Hatter's daughter (er, I mean her costume) now resides under my bed waiting for October 31st to arrive. Whatever your theme, I know the costumes are going to be fantastic and everyone is going to have loads of fun! You guys are so good. It is, of course, Alice in Wonderland. My only regret is that I don't have enough family to convince someone to be the caterpillar!